Ceske Budejovice is a big county seat with unique quadrat square and the Black Tower from which you can see the whole town and the surroundings with the castle Hluboka and the so much discussed nuclear power station Temelin. You can do a lot in this town. 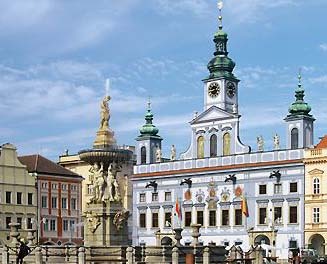 There are many sports, artistic and cultural facilities, for example multi-cinema, swimming pool, South Bohemian Theater and many other interesting places. 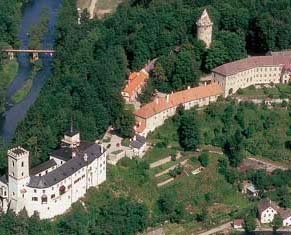 The romantic castle Hluboka with it´s scareful battlement and varied spirelets stands above the river Vltava near the town of České Budejovice. There is a zoo near the castle that will appreciate especially kids. 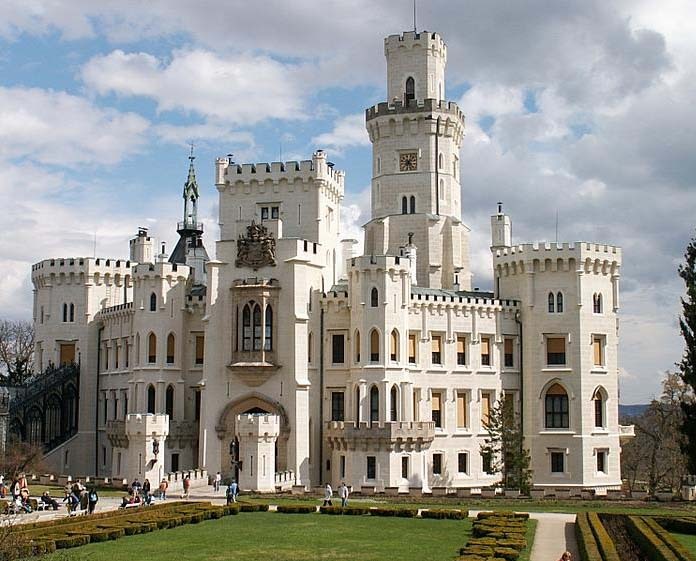 Rozmberk – Rozmberk lies in the picturesque valley of the river Vltava, 10 km from frontiers with Austria. Virgin nature, beautiful passage of the flow of river Vltava and historical castle attract many tourists all around the world to visit this small town. Schwarzenberger floating channel – the biggest Bohemian forest´s technical sight. It starts by the Rosenauer reservoir which dam is now unfortunately ruptured and leads to the river Grosse Muhl in Austria by connecting the river-basin of Vltava and Donau. The channel was originally set for timber rafting from inaccesible regions of the Bohemian forest to Vienna, later it was rebuilt so that man could have floated 24 metres long timber bars. The lenght of the floating channel is 44 km. It was watered by 27 creeks, 3 reservoirs and Plesne lake. Lipno dam cruise – the murmur of dark woods, grazing horses at the edge of the hills, campfire right at the shore. 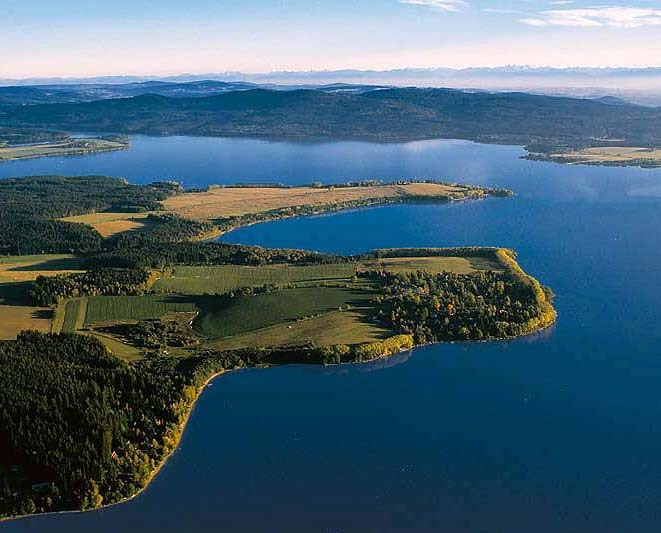 Discover the natural beauty of the Bohemian forest and the Lipno dam for yourself! Ships leave from the port in Lipno nad Vltavou. During the short or the long cruise you will learn a lot of interesting things about the Lipno dam and it´s specialities. In the July and August you can also order a night cruise with music and dance on the board.